This is the very first post in a new series that we want to add to regularly! The question has come up how to avoid wasting fresh produce while still offering 6-8 different vegetables to our bunnies at a time. Why not share it and eat like a rabbit? I don’t know about you, but we could definitely use more vegetables in our diet… Somehow we always have a fridge so full of vegetables that nothing else will fit, and yet we never seem to eat any of them. 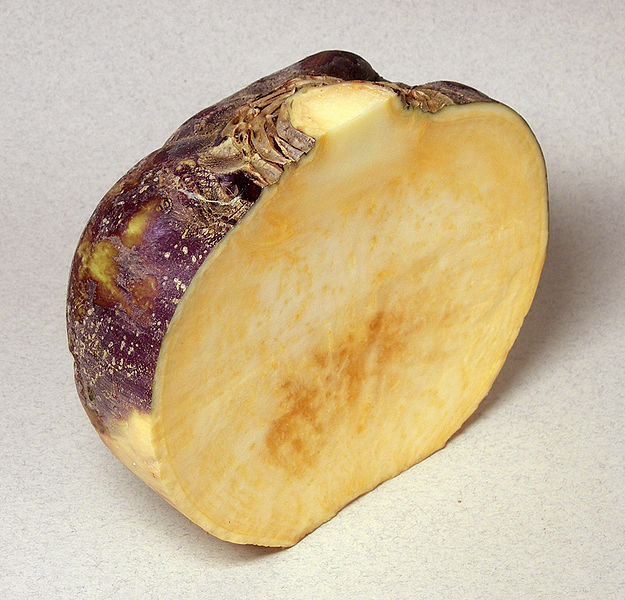 Since it is the latest vegetable that we have introduced to Bunny, we will start the series off with rutabaga. We’ll give you a short introduction to it and share our favorite recipes for humans that involve the rutabaga. If you have any others to share, feel free to comment below! The rutabaga is a root vegetable that looks and tastes like a cross between a turnip and a cabbage and originally came from Scandinavia. Both the root (as seen in the picture on the left) as well as the greens are edible. It has a large water content, which makes it low in calories, but it also contains valuable vitamins (A, B1, B2, C), minerals, and protein. The inside is yellow and has a slightly sweet taste to it. To prepare it for us or Bunny we peel off the skin with a knife and cut the yellow fruit on the inside into dice-sized cubes. If still available, Bunny can also have the greens, but if you buy the rutabaga from the regular grocery store, chances are you will get the root only. The rutabaga is best kept in the fridge and will stay fresh for about 10 days. Simply peel off the skin with a knife and cut the yellow part into cubes. Boil in water until soft. You can season it with salt and pepper if you like. It also tastes great to use a 50/50 mix of cubed carrots or kohlrabi and rutabaga. If you have a baby at home then this is perfect, because the rutabaga gets really soft if you cook it long enough and tastes slightly sweet, but it is still a vegetable and therefore healthy. This tastes really good by itself or in any white sauce. Cut the pork into cubes. Place meat and oil into a deep pan or pot until light brown. Add salt and pepper. Chop the onions while the meat cooks and add them to the pan as well. Now add half of the vegetable stock. Cook for 30min. on medium heat with the lid on. Cut the rutabaga and potatoes into cubes. Add to pot along with the rest of the vegetable stock and the parsley. Cook for 20 additional minutes with the lid on. I even liked this as a child and I was picky. 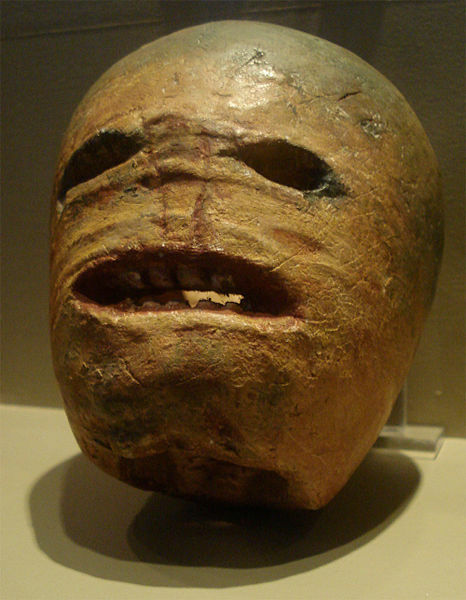 Apparently, using Rutabagas instead of pumpkins on Halloween is an Irish tradition and it looks pretty creepy, too. If all else fails, you can therefore always make a craft out of it. We hope you enjoy the recipes and will be able to safe some rutabagas and parsley from the trash! The goal of this series is to provide our rabbits with a variety of vegetables without wasting any of it, so hopefully this is a first step to accomplishing that goal.